PARK SLOPE/BROOKLYN HEIGHTS/BOERUM HILL – Brian Lehrer’s “Ask The Mayor” segment returned on Friday after a two week hiatus with Mayor Bill de Blasio speaking with the radio host for more than thirty minutes, covering several Brooklyn-related topics. 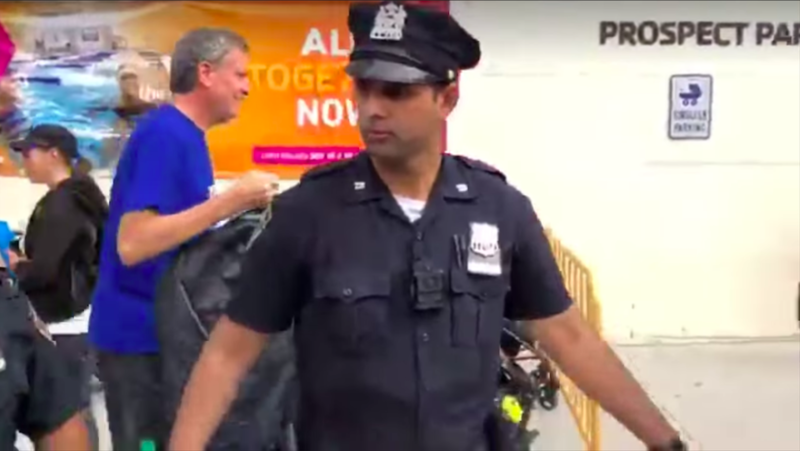 Lehrer began the show by asking the Mayor about his recent encounter with a homeless activist who confronted de Blasio during his workout at the Park Slope YMCA. Nathylin Flowers Adesegun, a 72-year-old homeless activist, approached the Mayor inside the gym on October 5th and asked him why only 5% of the 300,000 units in his affordable housing plan are going to homeless New Yorkers. The Mayor briefly touched on his Borough-Based Jail Plan which would shut down Rikers Island by 2027 and build or expand facilities in Brooklyn, the Bronx, Manhattan, and Queens. 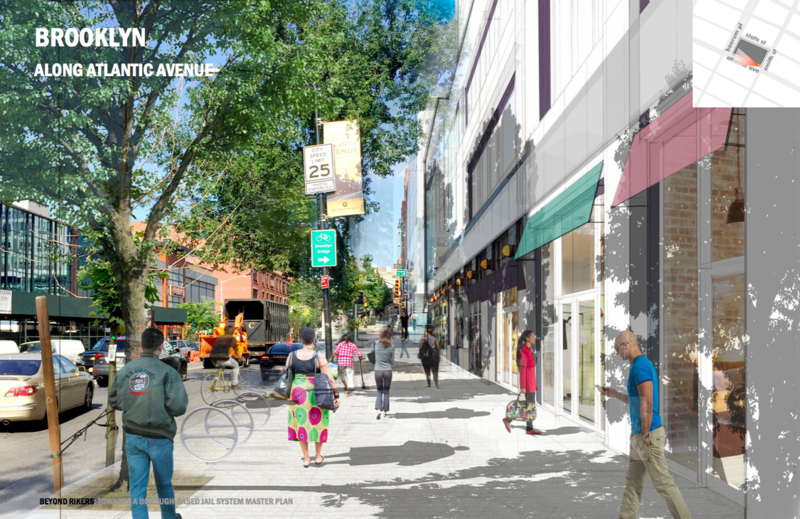 The plan would include demolishing the existing 800-bed Brooklyn Detention Center at 275 Atlantic Avenue and replacing it with a 1,510-bed facility with ground-floor retail, community space, and parking. Lehrer pointed out that during recent scoping meetings/public hearings on the new detention centers, City Council Members representing neighborhoods where the facilities are proposed have faced fierce opposition from community members. Council Member Stephen Levin was shouted down when he voiced his support for “modern, humane” jails at the Brooklyn meeting last month. Another contentious Brooklyn topic Lehrer raised was NYC DOT’s two proposed options to fix the triple cantilever of the BQE in Brooklyn Heights. The first “traditional” option would have crews working incrementally, lane by lane and would take about eight years or more and cost $3.4 to $4 billion. 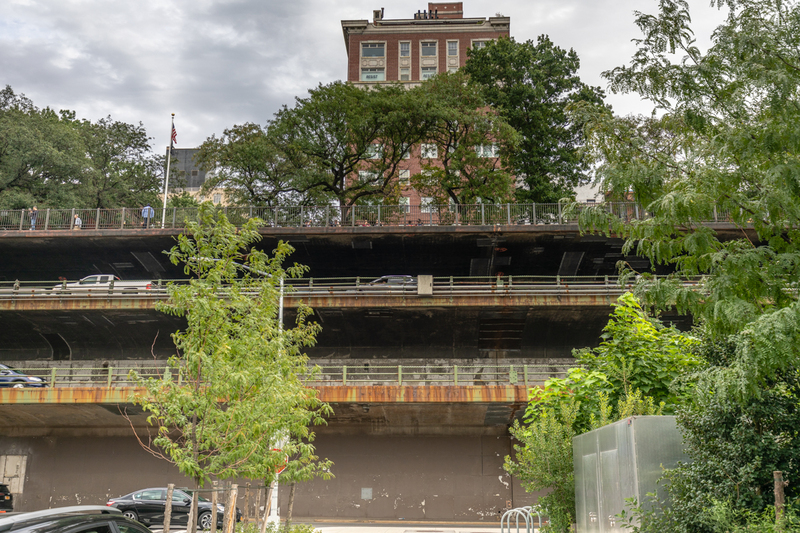 A second “innovative” option would address the 1.5 mile stretch of the BQE by demolishing the popular Brooklyn Heights Promenade and building a temporary six-lane elevated roadway in its place. This approach would cost $3.2 to $3.6 billion and take approximately six years. Deblasio has only lined his pockets with money from the real estate industry and provided us with “affordable” housing.